We have another day at sea, which we spend avoiding the Florida Mafia. I know I described Floridians as ferociously social in an earlier posting and these two wives take it to a new extreme. They have clearly decided that spending time with us might cause a little of our fabulosity to rub off on them. They seem to be everywhere. We have that English capability of being able to be unfailingly polite to someone we have just met, while making it quite clear that we do not wish our acquaintance to go any further. It is usually effective but has to rely on the other party having some small amount of intelligence, enough at least to read the signals. But these two women have clearly never read anything in their lives and their ability to comprehend any form of subtle social signal is non existent. We see them after dinner and they are all over us like flies on honey. They tell us that they got the Maitre D to seat them at a table for 6 and sent him off to get us to join them, but he reported back to them that we had already been seated elsewhere. A further tip to the Maitre D’ might be in order. We awake the following morning to find our ship approaching Crete. We can again stand on our balcony and watch the ship enter another beautiful port. Well, it hardly seems to qualify as a port. 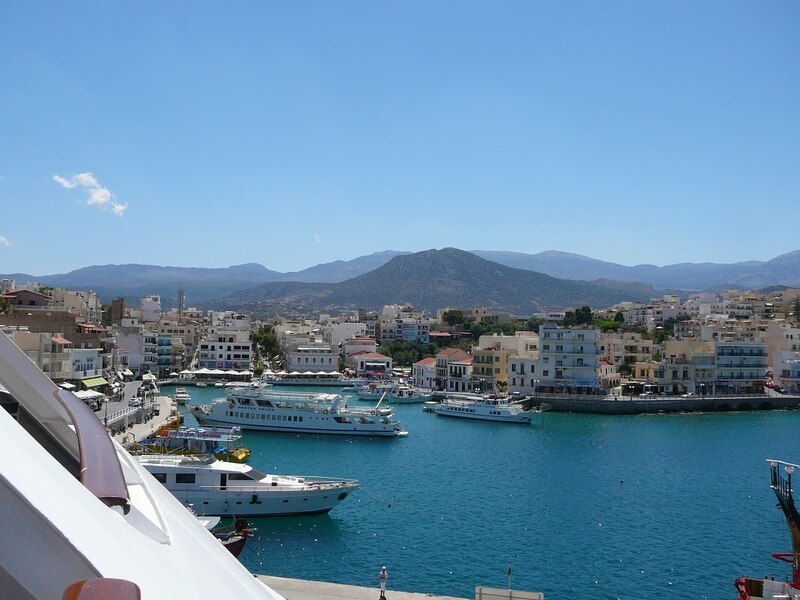 We are arriving at Aghios Nikalaos, and are on a quay no longer than our ship that runs along the main promenade in the center of the town. We literally step off the ship and into town. Most cruise ships arrive at the port of Heraklion. 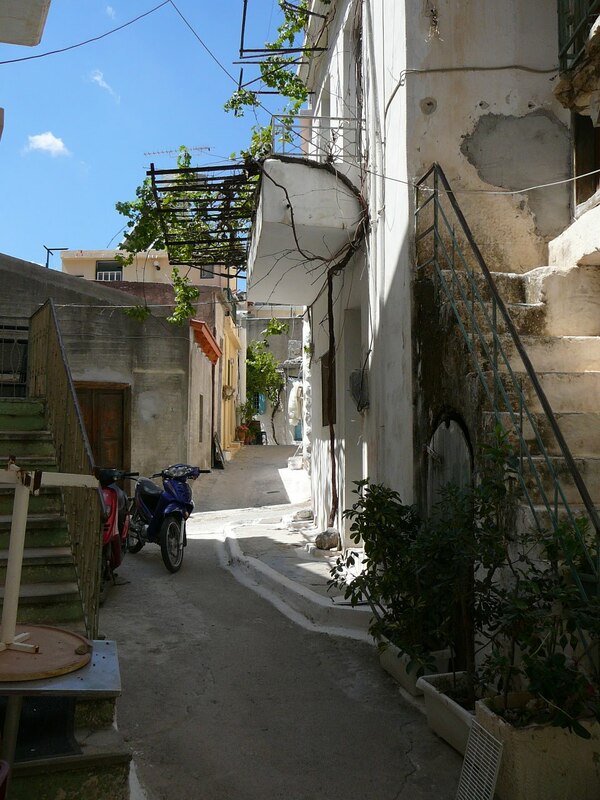 Heraklion is a large sprawling untidy city with nothing much to recommend it. Aghios Nikalaos on the other hand is a picturesque tourist town and fishing village about 30 miles away, and our ship is just small enough to be allowed to dock there. It is about 35 years since we were in Crete. We used to rent an apartment right in the heart of the town and are amazed to find that we are just a couple of streets away from where we used to stay and can recognise much of the harbour and town. Indeed our favourite restaurant on the sea front is still there. 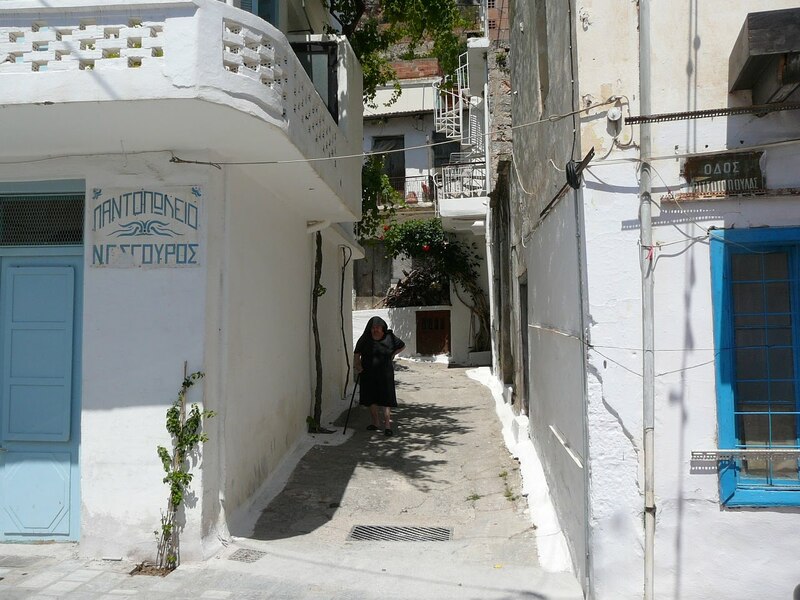 It all looks so familiar, but it is not until we explore the streets leading back into the town that we can see how much the town has grown over the years. 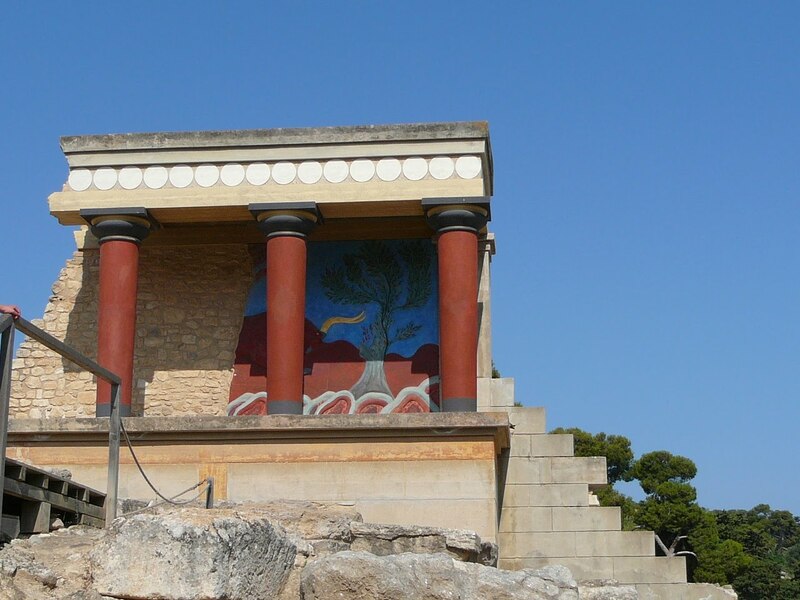 We have a car for the day and drive off to see Knossos, which has changed dramatically. When we were last there, we could clamber over the site unimpeded by other tourists or guards. Today the place is absolutely jammed with tourists and we have to follow marked routes through the ruins, never being allowed to stray from the paths. We leave quite quickly, preferring to have our memories intact, and not spoiled by today’s realities. We then drive up in to the mountains and have a wonderfully peaceful time away from the maddening crowds exploring lesser sites and small villages. We have rediscovered our love for the island and promise to return soon. But first we have to return to the ship where we find the Boca Raton Mafia waiting for us as always. They are in the Bar, and as we pass through they wave us over. Actually it appears to be more of a summons. We are at our most obedient, and do as directed. “NOTHING!” she screeches, making it quite clear that she finds it impossible to believe that anyone can have a wonderful day without buying at least one little trinket. “Well what DID you do?” she asks. When we describe our day, she looks totally bewildered. Knossos is obviously a word that she is not familiar with, and as for villages in the mountains ! What possible reason could there be for visiting them – the shopping must be virtually non existent. Recognizing that she has little interest in listening to what we have done, we ask her what she has purchased today. I really want to know how much she pays for it at home, but refrain from asking. If she finds it necessary to financially support Crete, I wonder how much she feels she has to spend when she visits third world countries. We manage to escape before any mention of dinner is made. At dinner, we find ourselves sitting next to a delightful couple from Washington DC and have a very pleasant evening. So much so, that we arrange to share a table the following night. Things are looking up.